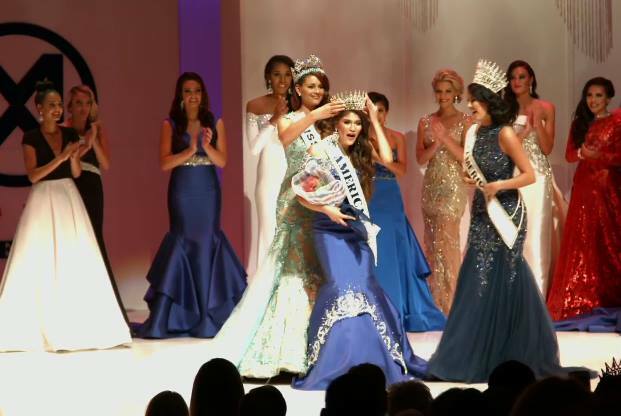 Victoria Mendoza, 19, from Phoenix, Arizona was crowned as the first Miss World America on July 3 at the Auditorium of the University of the District of Columbia, Washington, D.C. She will now compete in Miss World 2015 pageant to be held in Sanya, China in December. Her court includes 1st runner-up Teresa Scanlan of Nebraska (who was Miss America 2011), 2nd runner-up Rachel White of Texas, 3rd runner-up Kristy Landers Niedenfuer of Louisiana (who represented Tennessee in Miss USA 2014), and 4th runner-up Arielle Saige Rosmarino of Virginia (who competed in Miss USA 2014). Miss United States 2014 Elizabeth Safrit and Miss World 2014 Rolene Strauss assisted in the coronation of the winner. 51 young women from all over the United States including American Samoa participated in the first edition of the pageant. The state of Wyoming did not send a representative. Massachusetts. The Beauty With A Purpose Award was won by Maude Gorman of Massachusetts.